Adventure Life's Antarctica cruises & tours are the ultimate way to visit the white continent in comfort, safety and style. Thousands of travelers have trusted Adventure Life's Antarctica tour experts to help them choose the perfect small ship cruise to Antarctica. Depart from Ushuaia, Argentina or Punta Arenas, Chile on a minimum 6-day trip and choose from small expedition ships, luxury ships, fly/cruise combinations and even cruises that include skiing, sea kayaking & camping in Antarctica. Onboard, guides lecture about the region's natural history, weather, and captivating Antarctic animals like penguins, seals & whales. Dozens of ships sail the Antarctic waters, and we can help you find the best cruise for your needs. Contact us with your interests, schedule & budget, and we'll help you plan the perfect Antarctic cruise. Embark on a once-in-a-lifetime trip to the 7th Continent - Antarctica, and follow in the footsteps of the early Antarctic explorers like Shackleton, Cook & Ross. Explore amazing Antarctic scenery - pristine wilderness of sea, snow, ice, mountains, and an incredible abundance of wildlife on this 10-day Antarctic cruise on the MV Ushuaia cruise ship. Marvel at the impressive ice fields and cross the legendary Drake Passage on this extraordinary 11-day cruise aboard L'Austral. 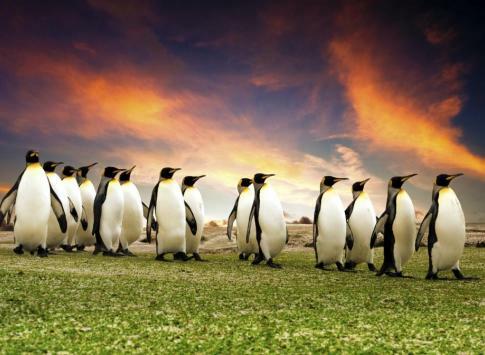 Sail from Ushuaia to an enchanting polar desert, a final frontier where penguins number in the thousands and humpback whales patrol the icy waters. Most cruises to Antarctica depart from Ushuaia, Argentina, though several, especially Antarctic Air Cruises, leave from Punta Arenas, Chile. A few, those visiting the Ross Sea, may visit or depart from New Zealand. or even South Africa. If you have limited time and budget you'll likely choose to visit the Antarctic Peninsula, as only longer cruises includes the Weddell Sea, Falkland Islands, and the mountainous South Georgia. 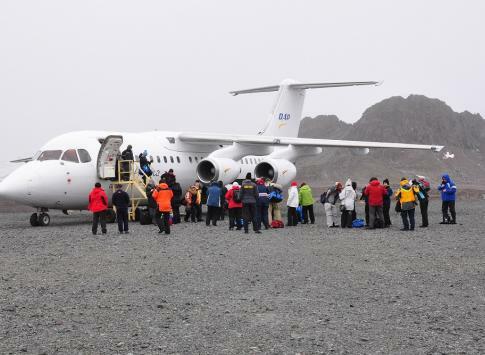 The shortest trip length available to Antarctica is six days with an Express Air Cruise, where you sail or fly to King George Island and return on a flight or cruise. Without the flight, you'll need at least a ten day trip starting and finishing from Ushuaia to get an optimal experience on the Antarctic continent. Trips to the Ross Sea last around 30 days. 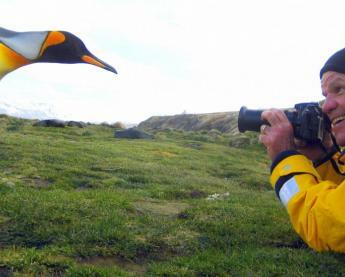 To explore the Falkland Islands and South Georgia in addition to the Antarctic Peninsula budget at least an 18'day cruise. All of our ships that sail to Antarctica have strengthened hulls designed for the demands of the Antarctic and exceed the highest safety standards. We only offer cruises on small ships, as large cruise ships are not allowed to disembark in many places. Only 100 passengers are allowed to disembark in Antarctica at one time, so we recommend a ship of around 100 passengers if you want to maximize your time exploring, as all passengers can be on land at once and don't have to rotate in shifts on land. Contact an Adventure Life Antarctica cruise expert for help choosing the perfect ship for your needs. All of our small ship Antarctica cruises feature zodiac excursions and hikes for up-close encounters with Antarctic wildlife. Some ships have sea kayaks that give a unique perspective of penguins, whales and other wildlife. Some tours include skiing and camping in Antarctica for the ultimate adventure trip to the white continent. Flexibility, and patience is key. The weather in both Antarctica and Patagonia is unpredictable and can impact both flights and landings at sea. The captian of your ship will make decisions on where to visit and what activities are available based upon wind, temperature, and sea conditions. 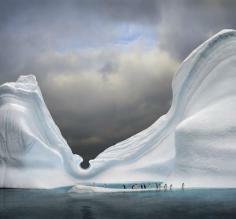 An Antarctic itinerary should be considered a rough "plan A" that will be adjusted as the climate dictates. The most popular regions for Antarctic cruises are the Antarctic Peninsula, the Weddell Sea, Ross Sea, and the sub-antarctic South Georgia & the Sandwich Islands, and The Falkland Islands. 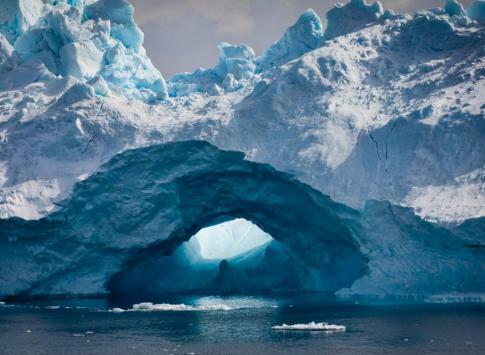 The Antarctic Peninsula - is the most frequently visited region. Don't miss the South Shetland Islands including King George Island & Deception Island. On the western side of the Peninsula, the The Lamaire Channel, Neko Harbor, Port Lockroy and Paradise Bay offer breathtaking views and visits to penguin rookeries. This is the most accessible, and wildlife-rich area of Antarctica. 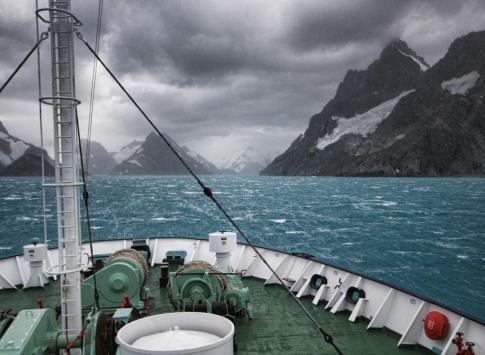 The Ross Sea - is remote and normally visited on cruises of 30 days or more. Explore the marine reserve, recently-formed in 2016, protecting what the journal Biological Conservation called the Ross Sea “the least altered marine ecosystem on Earth.” Cruise to the volcanic Ross Island and the huge Ross Ice Shelf with the Transantarctic Mountains as a backdrop. Sail to the remote Peter I Island and Macquarie Island as you approach New Zealand. The Weddell Sea - is the area east of the Antarctic Peninsula infrequently visited and frequently clogged with massive icebergs is the resting place of Shackelton's ship, the Endurance. Booked a trip to Antarctica? Now what? From what gear to pack to the best times of year to go, our FAQ article will answer some of the most commonly asked traveler questions. 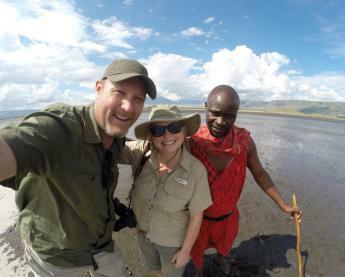 This will hopefully help you feel better prepared for an adventure of a lifetime to the Great White Continent! Antarctica expeditions offer amazing wildlife viewing opportunities - whales, seals, and penguins are just a few of the species you will encounter! 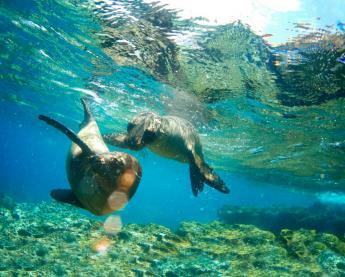 Learn more about the variety of wildlife that could possibly join you on your adventure. We have also included helpful resources about wildlife to determine when to plan your trip. Celebrate Christmas and the New Year aboard the luxurious Le Soleal on this 17-day expedition cruise to the Falkland Islands, South Georgia, and into the heart of the Antarctic Peninsula. The vast majority of visitors arrive from either Argentina or Chile at the southern tip of South America. Ushuaia, Argentina is the primary port for cruises leaving to Antarctica and claims the title of "world's southernmost city". Sail across the Beagle Channel near Puerto Williams, Chile (the world's southernmost town) near Cape Horn, and through the Drake Passage across the Southern Sea. 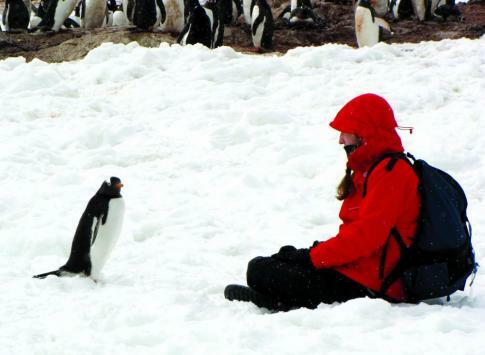 Choose between cruises that go directly to the Antarctic Peninsula, or longer trips that sail to the Falkland Islands, South Georgia Island, or even to the Ross Sea and on to New Zealand. The two hour flight from Punta Arenas Chile to King George Island near the Antarctic Peninsula, is the fastest way to arrive to the Antarctic. Most flights are carrying passengers of cruise-flight packages that fly one way and sail the other direction cutting the minimum Antarctic trip length to as short as 6 days. The fastest way to travel to the Antarctic is on a combined cruise-flight between Punta Arenas Chile and King George's Island of the Antarctic Peninsula. Continent of Extremes - Antarctica is the coldest, driest, windiest, and has the highest average altitude of any continent. It also sits upon active volcanoes like Mt. Erebus and the sub-glacial volcano at Deception Island, which has hot springs where you can go swimming in Antarctica! 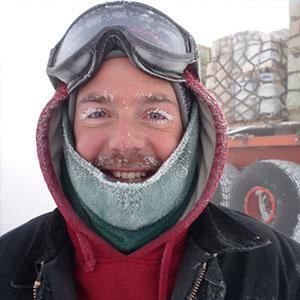 Population - The only people who live in Antarctica are about 4000 resident scientists in the summer and about 1000 in the winter. There are no cities in Antarctica as the entire populace lives in about 70 different research stations run by around 30 countries. Government - There is no government of Antarctica, only pending territorial claims. 52 nations have signed on to the Antarctic Treaty which designates Antarctica a military free zone dedicated to scientific research. The Coldest Place on Earth - On a high ridge on the East Antarctic Plateau is where temperatures can dip to a record minus 136 degrees Fahrenheit (-93.2 degrees Celsius). A Land of Ice & Water - around 98% of Antarctica is covered by ice averaging 1.9 km (1.2 mi; 6,200 ft) in thickness and between 70%-90% of the world's fresh water is here. The northernmost regions of the Antarctic Peninsula are about the only places not covered by ice. 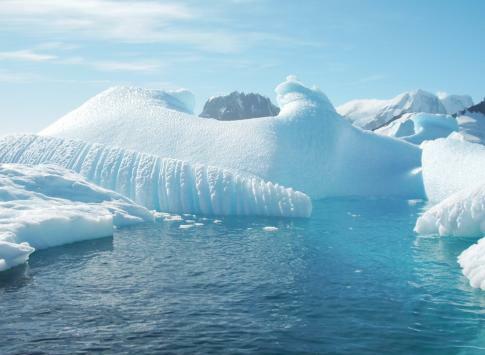 A Not-So-Fun Fact - If all the ice in Antarctica melted, global sea levels would rise at least 60 meters, over 200 feet!